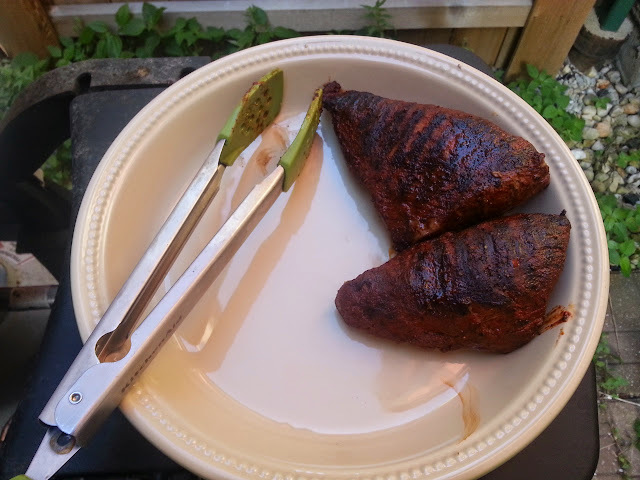 This is something I have been wanting to cook for a while, I have always heard about how good grilled tri tip roast can be. When I saw them at the butcher I decided that it what we would have for dinner. 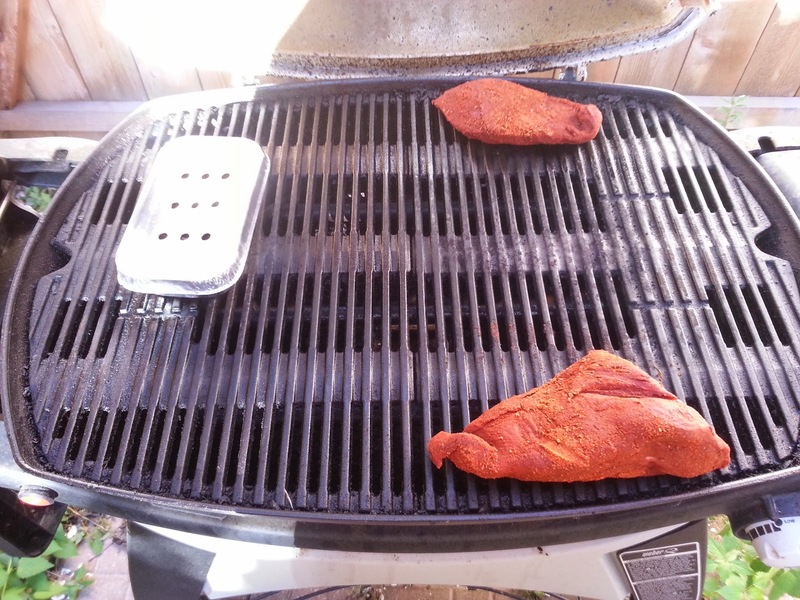 I began with a dry rub consisting of smoked paprika, cayenne pepper, garlic powder, mexican oregano, cumin and coriander. I covered the entire outside of the roasts and let them site for a couple of hours so they could come to temperature before the grill. I purchased a disposable smoker box just to see if i can get some smokey flavor into my beef. With that going I place the tri tip off the heat so that it could slowly come to temperature. I flipped it after about 20 minutes on one side then let it cook for another 10-15 minutes. I basted the beef a couple of times in a mixture of left over spices with olive oil and apple cider vinegar to keep the outside moist. The tri tip looked awesome fresh off the grill. Using a thermometer i was able to get them at 135F, with carry over I might have been a bit off but I feel that it was still done to a medium rare. After slicing, it was definitely the color I wanted. I simply finished with a squirt of lime juice and salt. I never had tri tip roast before this and I can see now what people were talking about. The meat was tender, juicy, and had a great flavor naturally from the beef and from the crust of the spice rub. The heat in the spices worked well with the beef juices onced I sliced, especially with a squirt of lime.